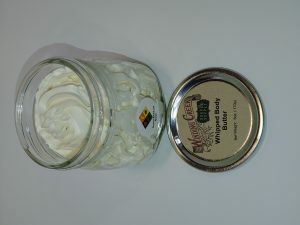 Short Product Description: This soap is dedicated to officers who have fell in the line of duty. 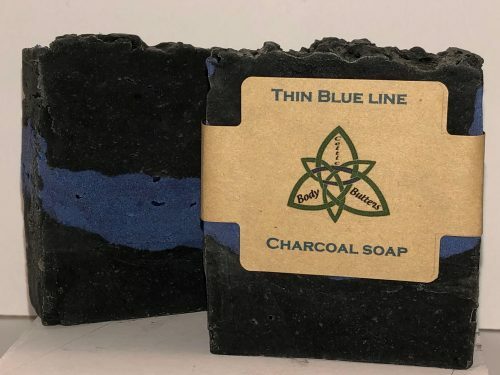 This soap is dedicated to officers who have fallen in the line of duty. The black is the charcoal and the blue is made from natural mica. Made from all organic and natural ingredients, to include plantain ash made in house! It has a slight orange scent to put a smile on your face. Each bar come from small batches which are hot processed. They weigh just over 5 oz a piece; and have locally sourced goats milk! Part of future proceeds will be donated to a national public safety mental health organization.